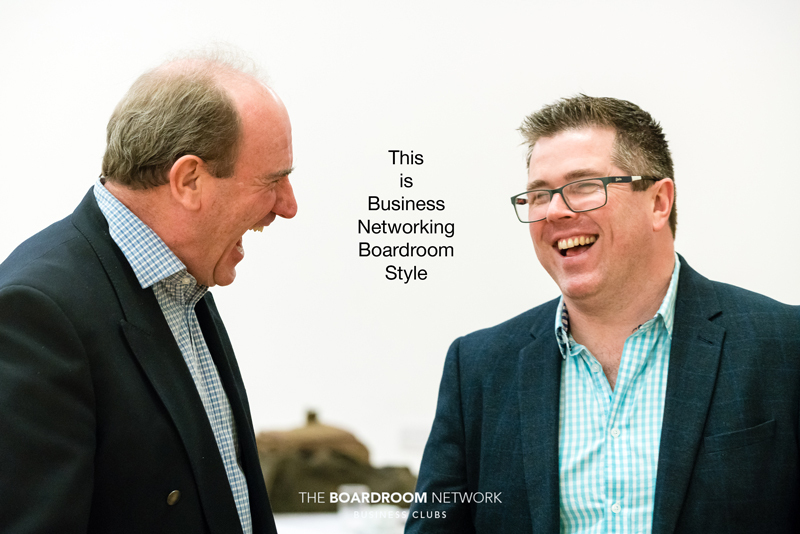 Justin Wharmby, our regular photographer, has captured a ‘moment’ that defines what The Boardroom Network means to me: strong relationships nurtured by regular connection – leading to a culture of ‘know-like-trust’ upon a foundation of really good humour. Of course, Anthony Marshall and Sam Dyer (above) are known for their wonderful smiles, but they are certainly not alone. Is there a “Boardroom Smile”? I think so! 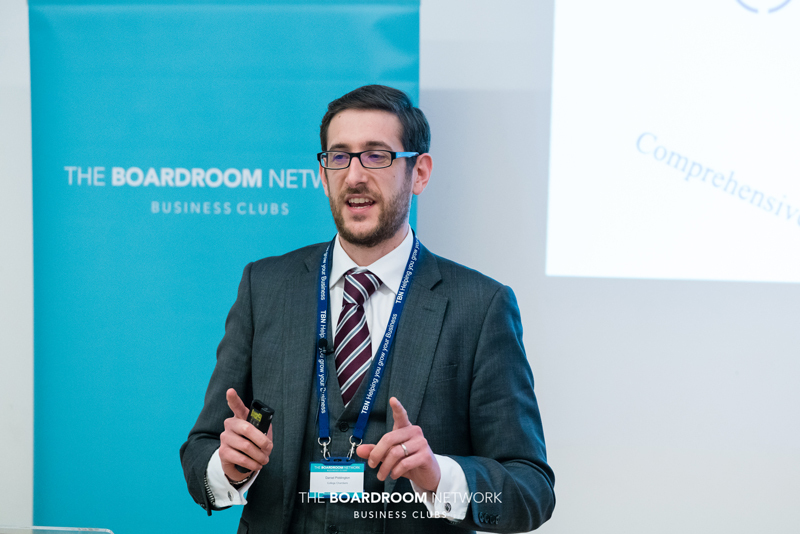 Our January Solent meeting was one rich in definitions leading to recommendations that really rock. What do I mean? Daniel Piddington, of College Chambers, defined the characteristics of a good Barrister and legal practice. Using the letter ‘C’ as the firm foundation for his presentation, he reflected back to us the thought that what was good for a professional legal practice was good for any other profession and, indeed, professional. 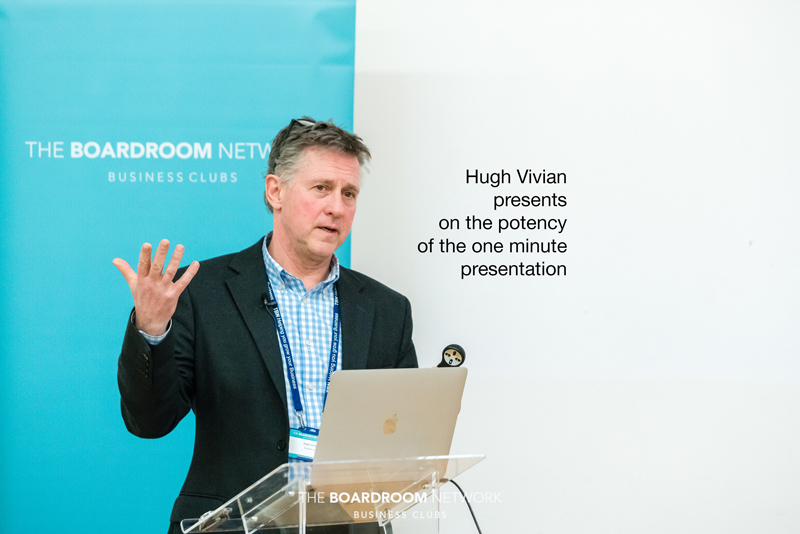 Hugh Vivian, of RockSALT Training, gave us further thoughts on building a firm foundation – with clear, concise recommendations on how to make more of the one-minute-presentation opportunities that are a cornerstone of The Boardroom Network’s best practice. I closed with an easy call to action to keep our business vision for 2019 up front and central – putting the writing on the wall. You can watch Daniel’s presentation in toto below to benefit from the full depth of insights. I will, however, broadcast the key words here that define professional practice. A Useful Coaching Question: How Specifically…? Hugh Vivian knows his onions! 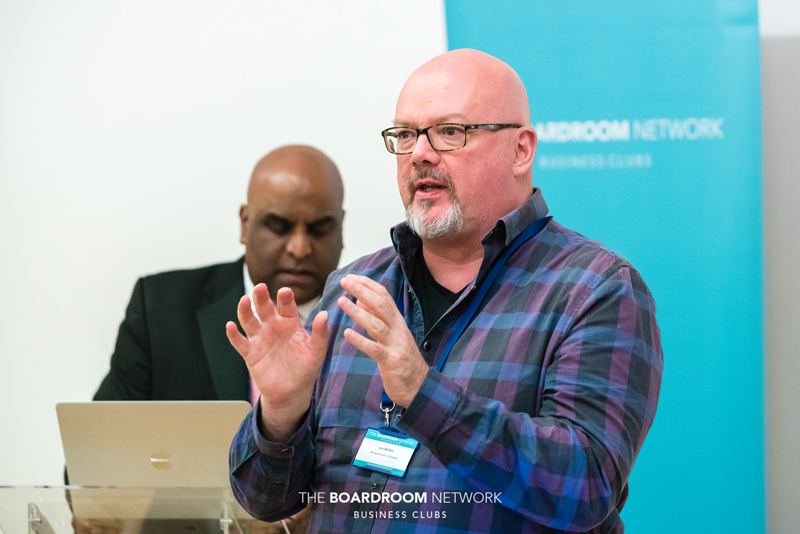 As a professional presentation-skills presenter and communication coach, Hugh was an ideal choice to share some fresh insights and reminders into how to make the most of our round-table presentations. As with Daniel, you can watch Hugh’s full presentation below. Focus on them rather than your own facts and features – what are the benefits to the recipient of your words? If we don’t prepare, the brain tries to help by saying too much, too indistinctly. In addition, if we focus on benefits, not facts, the audience realises that you realise it’s all about them! It’s a low-effort, high-return on your investment, giving your unconscious mind the inspiration it needs to keep finding ways to fulfil your vision for 2019. 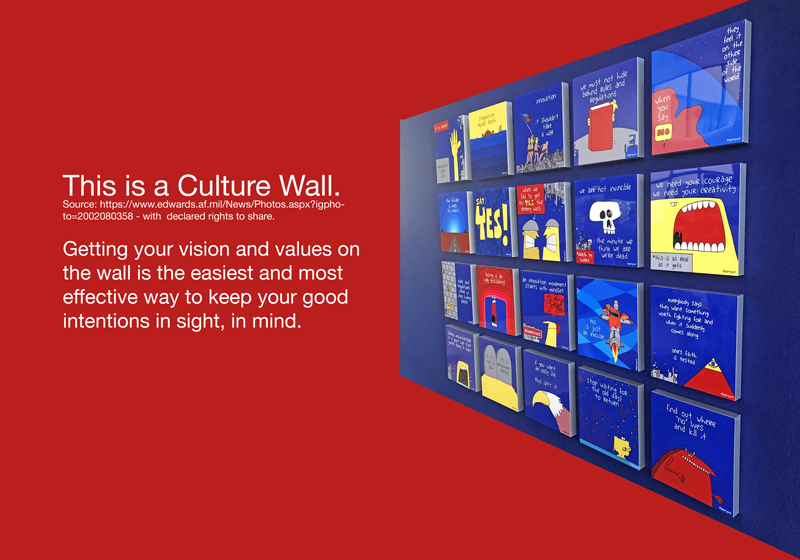 The above image uses art from one of my favourite companies: GapingVoid Culture Design Group. It’s clear, concise messaging that sticks in the mind (and engages an emotional commitment). With artists and graphic designers as important members of The Boardroom Network and Elite Business Women Clubs, there’s plenty of scope for you to use your wall-space to good purpose. Top Tips: Make the wall a ‘Living Wall’ by adding fresh content at least every three weeks. This keeps the wall ‘alive’ in our awareness. Otherwise, we tend to tune-out to peripheral visuals if they remain static and unchanging. Also make time for conscious review. In conclusion then, it was another great meeting with a great group of professionals who genuinely have a good time doing business!